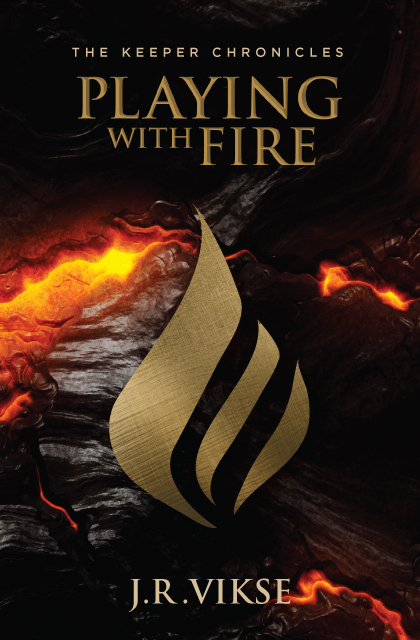 Playing with Fire reached #12 on Amazon.ca's "Epic Fantasy" Best-Seller's List. With his trademark wit and well-drawn characters, Vikse creates an incredible new world like nothing you've ever seen before... Prepare to enter the world of Tranthaea. Under the guidance and protection of the Keepers, the world of Tranthaea has been at peace for five hundred years. But all of that is about to change, thanks to two visitors from another world... ours. Feeling ignored and unappreciated are not unique sensations for Callum Swift and Jingwei Li. Callum – a 15-year-old pickpocket in Victorian London – wants nothing more than to survive until tomorrow, while Jingwei – a 16-year-old budding environmentalist in modern Los Angeles – just wishes she could make a difference in the world. Every day, each of them wonders what it would feel like to be wanted. That is, until the day they discover they may have unexpectedly developed powerful new abilities. Suddenly transported to the strange and unfamiliar land of Tranthaea, Jingwei and Callum struggle to come to terms with their astonishing powers while trying to prevent a devastating war from destroying the world. With help from the Keepers – the guardians of Tranthaea – these two teens must decide whether or not to accept their new destinies. Tested by shifting allegiances, incredible creatures, and formidable enemies, Callum and Jingwei find themselves faced with impossible decisions in a world on the brink of destruction. But can they shoulder their new responsibilities or will their powers be too much for them to handle? Will they learn to stand together or will they watch Tranthaea burn? ​This highly-anticipated first instalment of J.R. Vikse's new youth fantasy adventure series is perfect for fans of The Chronicles of Narnia and the Harry Potter series.